Rebecca L. (Becky) Norris is a duly elected Constitutional Officer as mandated by Article V, Section 16 of the Constitution of the State of Florida. 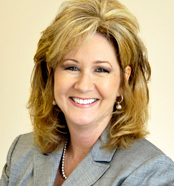 She currently serves on the Florida Association of Court Clerk’s and Comptroller’s Board of Directors, and serves on other numerous committees within the Association. Becky is a lifelong resident of Gulf County and was elected to office in 2004. She is married (Steve) and they have two children (Zachary and Ashton). She began her career in the Clerk’s office in April, 1984. She received her Associates Degree from Gulf Coast State College and is a member of First Baptist Church of Port St. Joe. In Gulf County, the Clerk of Court and County Comptroller serves as the County Recorder, the Clerk of Circuit and County Court, and Ex-Officio Clerk to the Board of County Commissioners. As Clerk to the Board, this office serves the public by providing a system of checks and balances to the Board of County Commissioners, including serving as accountant, auditor, and custodian of county funds.